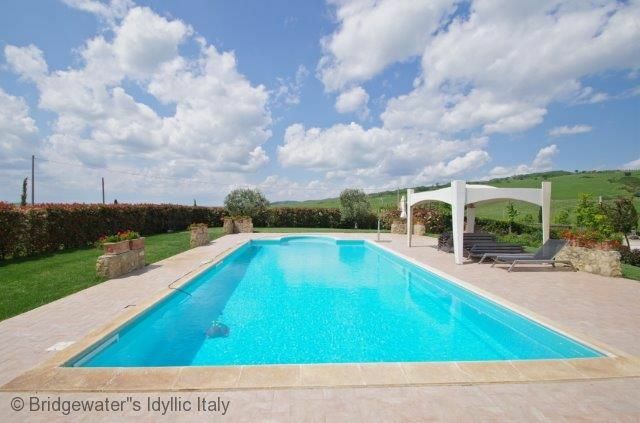 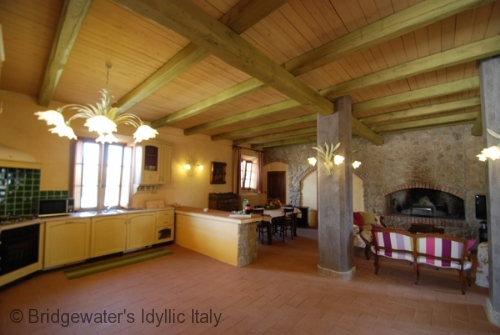 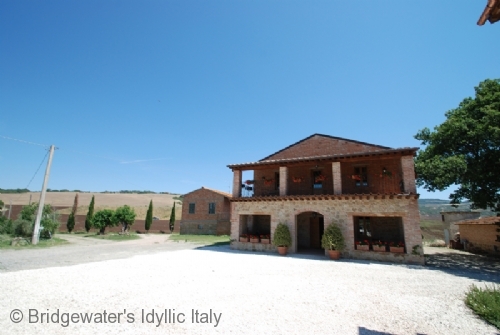 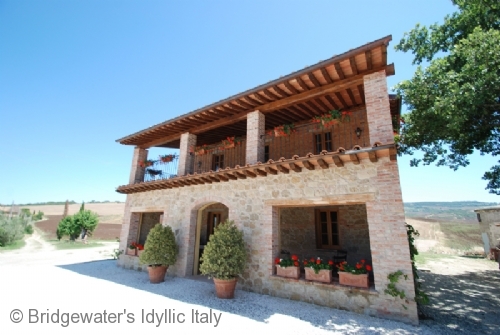 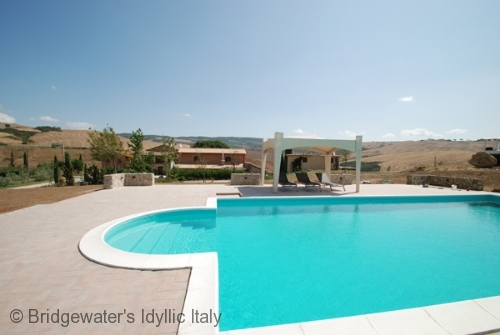 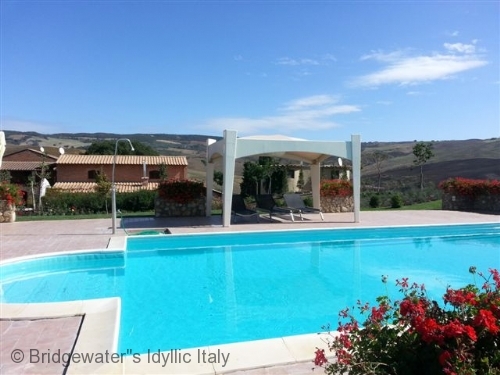 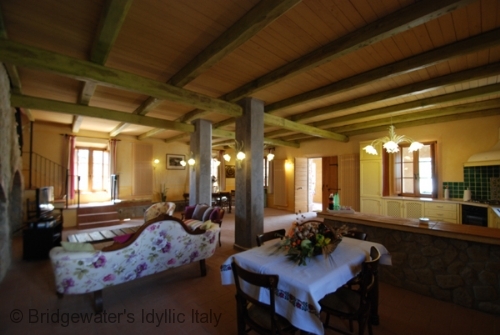 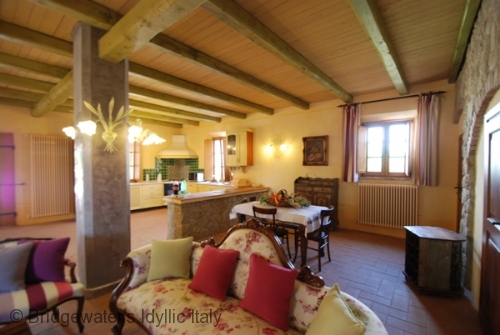 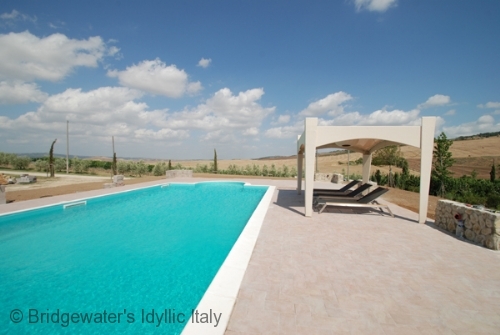 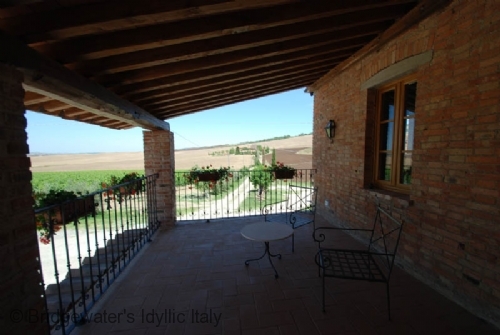 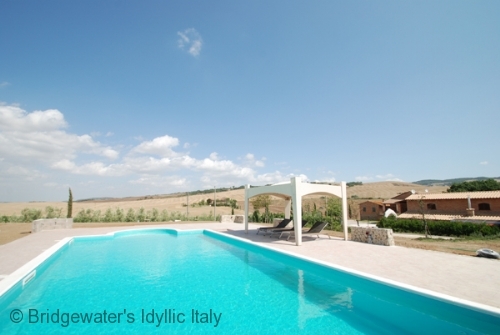 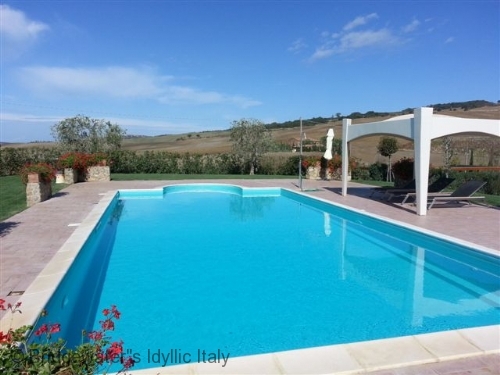 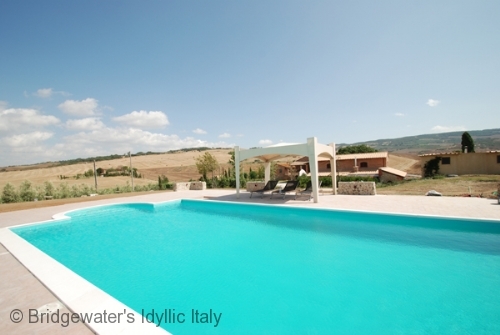 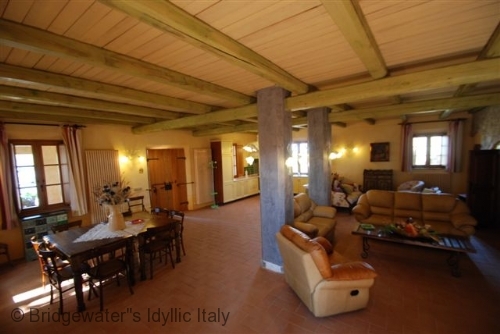 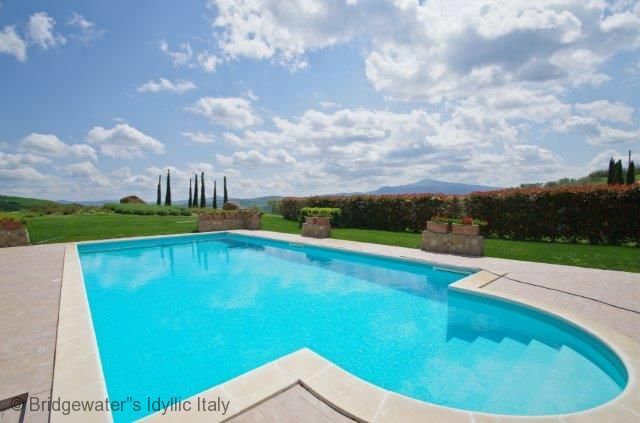 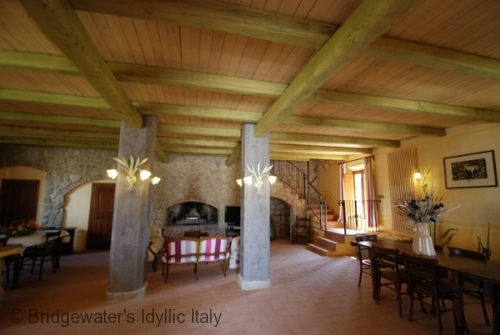 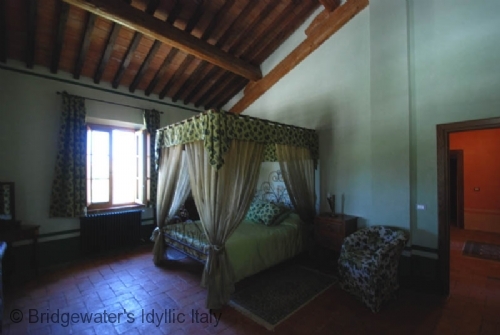 Stunning villa with private pool set amid the rolling countryside Val d'Orcia South of Siena. 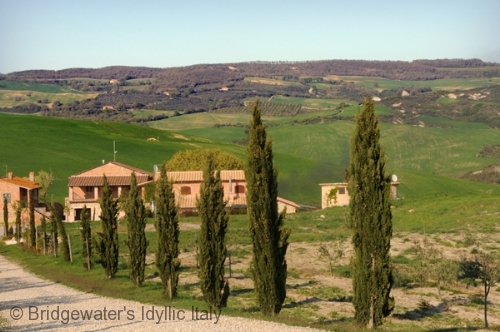 Val d'Orcia has been a UNESCO world heritage since 2004. 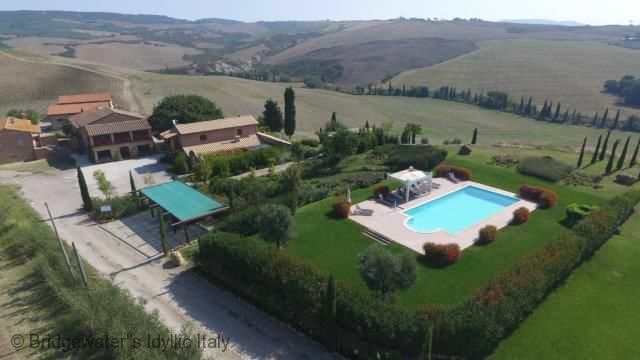 The villas is nestled close to the well known hill town of Pienza (6 Km away and Montepulciano which is only 11 km). . 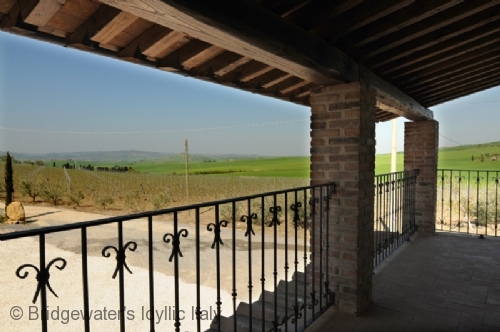 Plenty of outdoor space furnished for relaxing & dining. 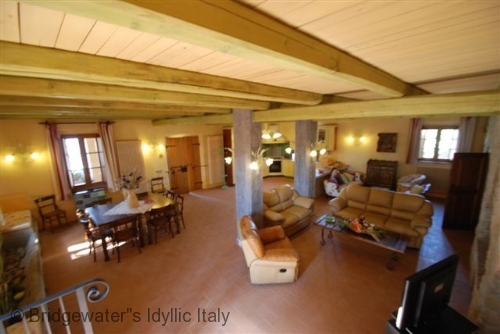 Bright, spacious interiors which are tastefully furnished. 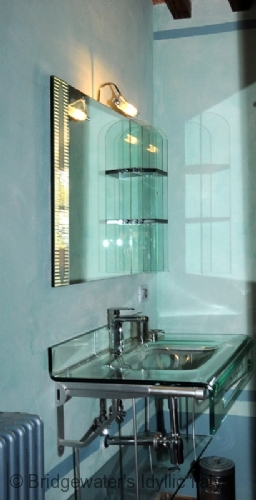 All bedrooms with en-suite bathroom. 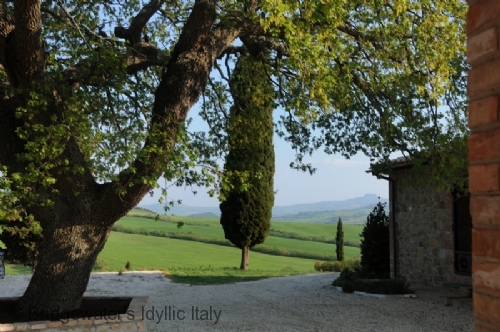 Internet available. 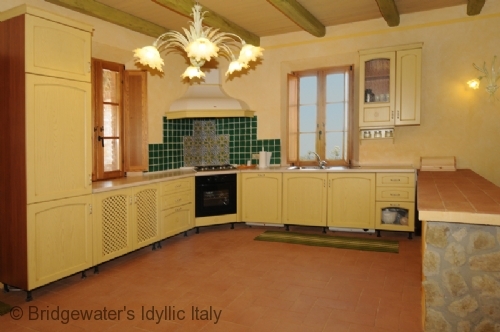 Maid & cook service possible. 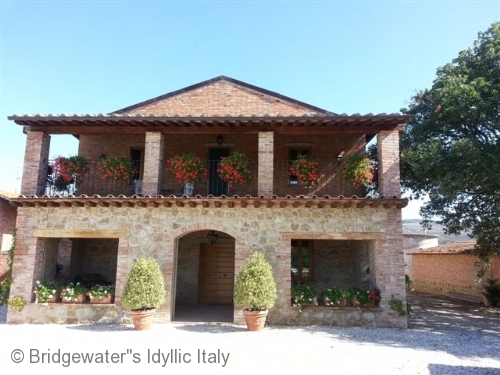 An excellent base from which to explore central Italy. 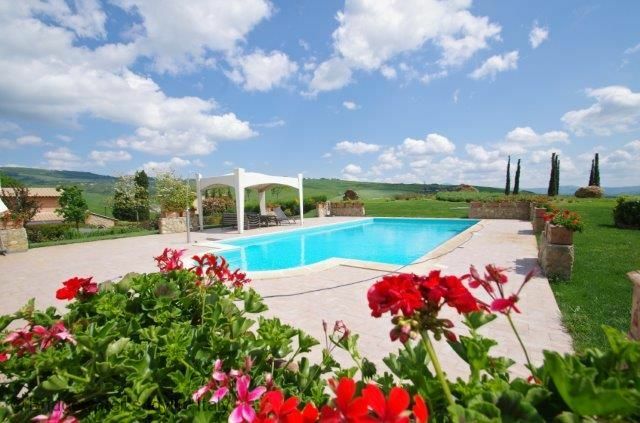 Discounts available outside of peak season when less than 10 people staying at the villa, please ask us for more information. 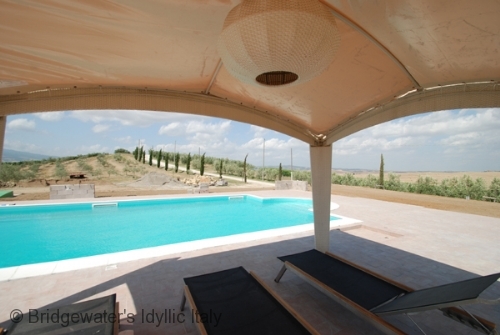 On the ground there is a covered terrace furnished with table and chairs and bbq, ideal for eating "al fresco". 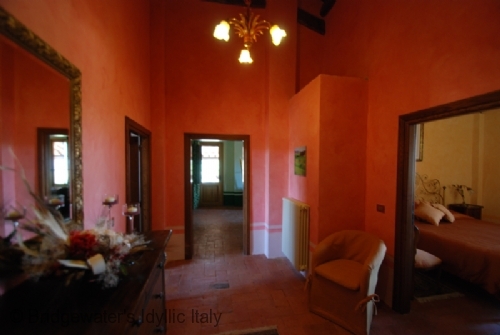 On the ground floor there is the living room with fireplace and a fully equipped kitchen corner (fridge with freezer, oven, 4 rings stove, microwave, toaster, kettle, washing machine and dishwasher, American coffee maker and Italian moka). 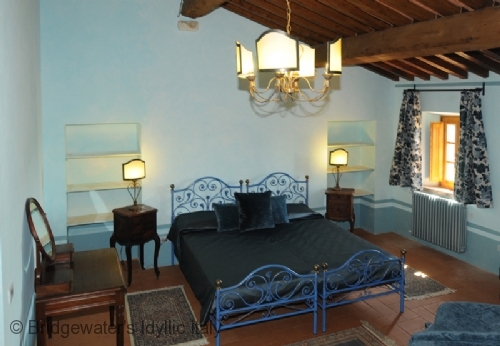 Satellite tv, DVD player and Wifi connection available. 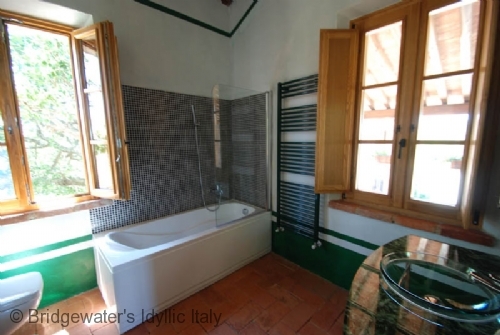 There is one toilet and a small storage on that floor. 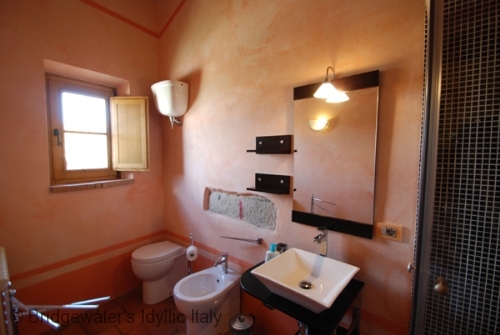 On the first floor there are five double bedrooms, painted in different warm colours, each with ensuite shower bathroom and tv. 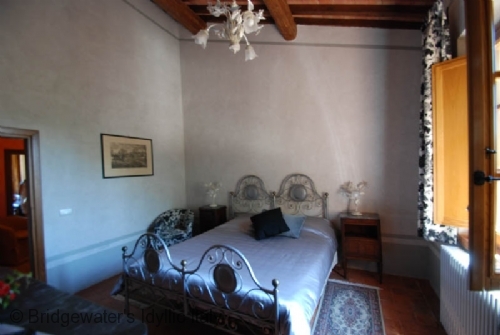 The master bedroom is very spacious and has an additional bunk bed and a large covered terrace with table and chairs; in the ensuite bathroom there is a shower and a tub. 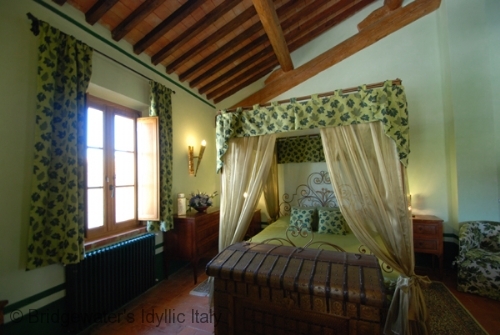 Only one of the five double bedrooms can be twins on request. 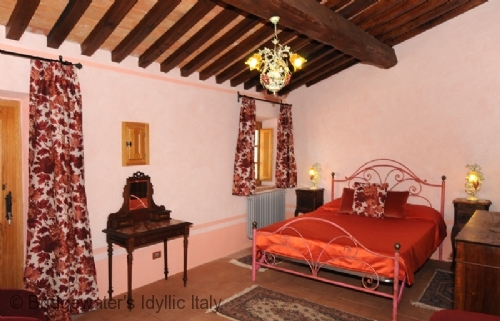 The pink bedroom has a French door that opens onto a small terrace and leads to the garden via a flight of stairs. 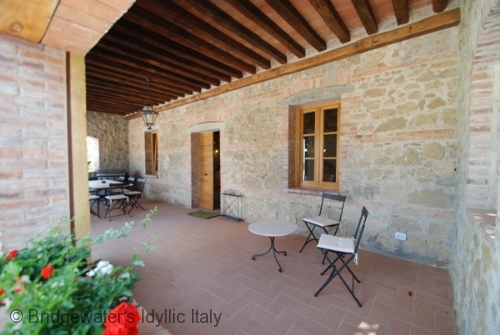 The villa is located between two buildings: one occasionally occupied by the owners and the other one is unoccupied and will remain closed. 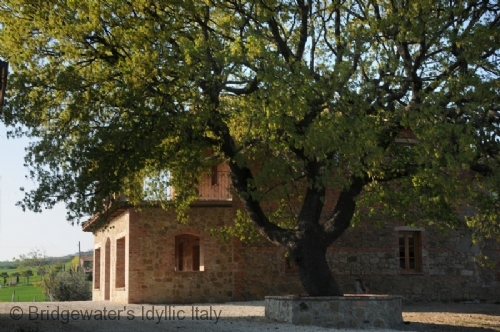 Hidden by the owners’ house, about 100 mts from the villa, there is a third small house lived by a couple with a friendly dog, the couple work in the estate as key holder and gardener. 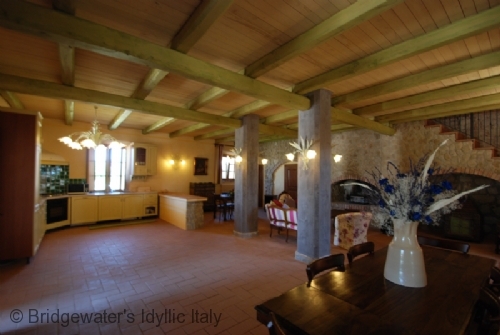 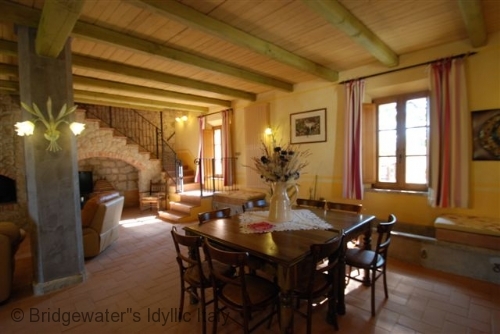 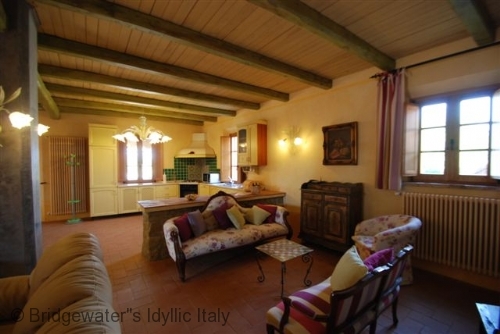 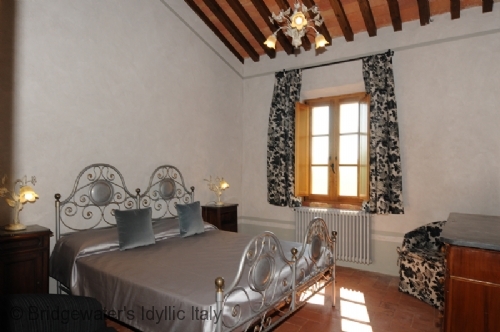 Upon request at time of booking, the owner can provide a maid and a cook to prepare typical Tuscan dinners . 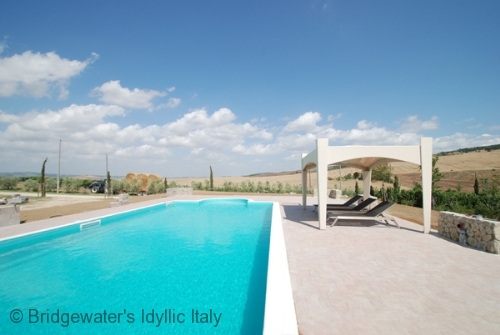 The swimming pool (12 x 6 mts / 1,20-1,40 mts deep) is in a sunny position and furnished with deck chairs and sun umbrellas. 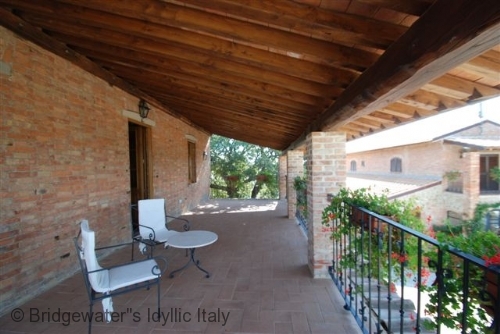 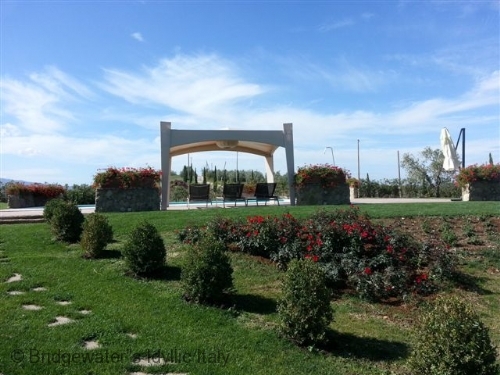 This is an excellent base from which to explore much of central Italy while relaxing in a totally rural atmosphere. 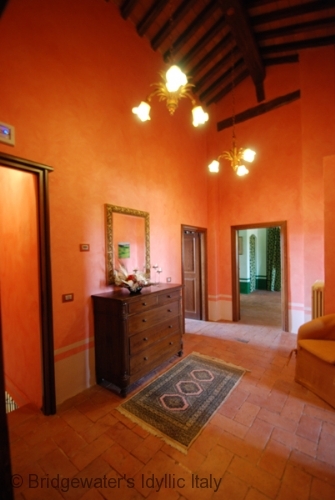 When the house is rented for 8 people one bedroom is kept closed; if rented for 6 people two bedrooms will be closed.